we picked a ton on strawberries when we went strawberry picking last weekend. we used some of our strawberries to make fresh strawberry ice cream last week, but we still had a bunch left over. 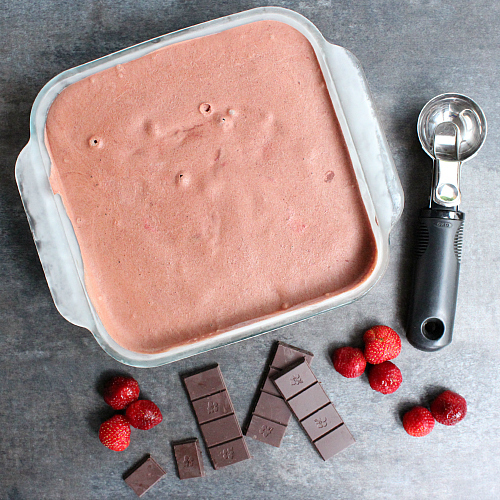 our strawberry ice cream turned out so good that we decided to make another batch. 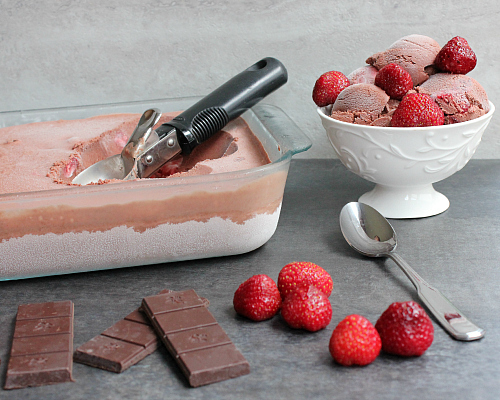 since strawberries go great with chocolate, we made chocolate strawberry ice cream! 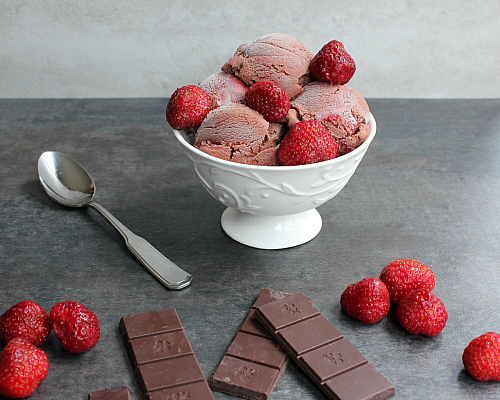 the flavor of the chocolate combined with the fresh strawberries is delicious. 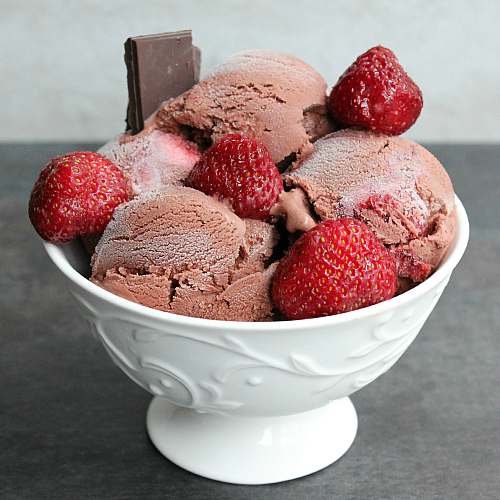 the cocoa powder gives the ice cream such a rich chocolate flavor which works so well with the strawberries. 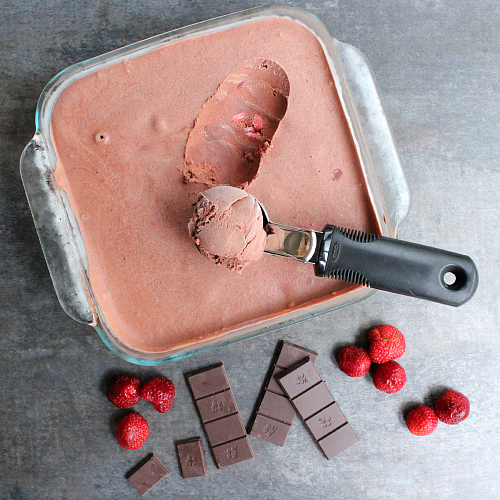 pureed strawberries are blended into the chocolate ice cream in addition to sliced strawberries. this recipe is easy to make and only requires a few simple ingredients. you just can't go wrong when it comes to making your own ice cream at home. it's creamy and dreamy with a soft and smooth texture. so delicious! we served this ice cream along with our fresh strawberry ice cream for dessert on saturday when celebrated the fourth of july with our families, and the two ice creams were so yummy together! ps: remember, july is national ice cream month! puree half of the strawberries in a blender until smooth. set aside. in a large mixing bowl, combine the cocoa powder, granulated sugar, brown sugar, and whole milk. mix with an electric hand mixer on low speed until the cocoa powder and sugars have dissolved (about 1-2 minutes). mix in the pureed strawberries. gently stir in the heavy cream and vanilla extract. pour the mixture into a 2 quart ice cream maker and freeze according to the ice cream maker's instructions. let the mixture mix in the ice cream make until it has thickened (about 25 minutes). remove the ice cream from the ice cream maker and transfer it to a freezer-safe container. stir in the remaining sliced strawberries. for ice cream that is the consistency of soft-serve ice cream, serve immediately. 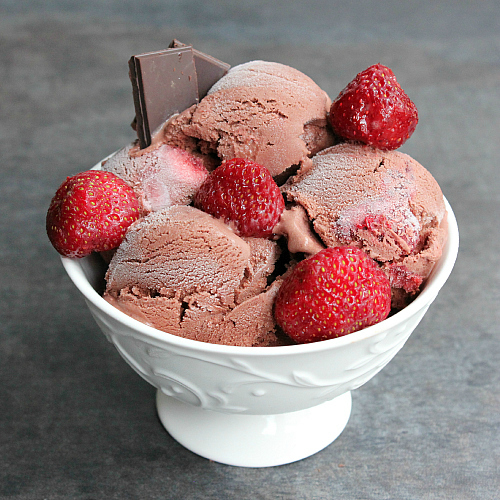 for firmer ice cream, freeze until completely set (about 1-2 hours). 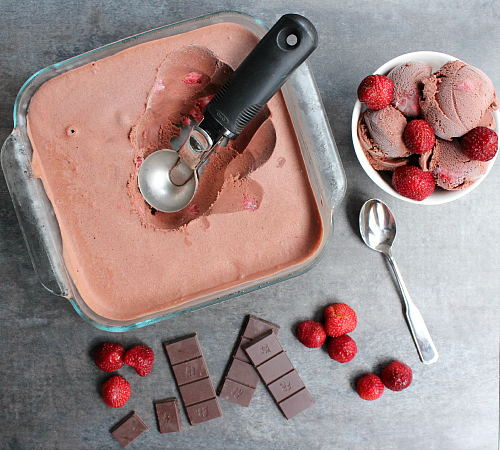 That was a clever idea to make chocolate-strawberry ice cream. I do not know of any company who makes that. Watch some company viewing blogs make it and sell it.